Cobb County's Board of Commissioners agreed 4-1 to approve a financial settlement with the Atlanta Braves over disputed project management costs with SunTrust Stadium. 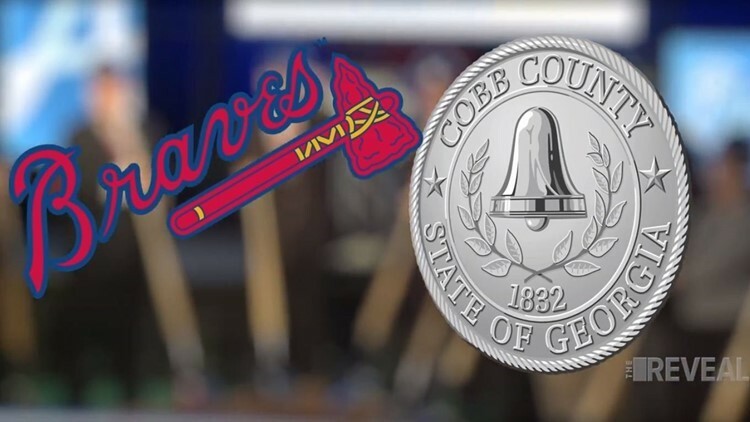 COBB COUNTY, Ga. -- Cobb County’s Board of Commissioners agreed 4-1 to approve a settlement with the Atlanta Braves over costs associated with SunTrust Park, after a tense meeting during Tuesday’s Board of Commissioners meeting. Today’s settlement ends the dispute between the Atlanta Braves and Cobb County, in which the Braves claimed the county still owed $4.6 million for the new stadium, in documents uncovered by 11Alive Investigator Faith Abubey. We were confident that we would work together with Cobb County for a solution to these outstanding matters. We continue to have a strong relationship with the county and are happy this has been resolved. According to the agreement, the Braves will drop the bulk of their demand that the county pay $4.6 million in stadium related costs. The team agreed to pay Cobb County Water Systems $1,486,250 for a “system development fee” regarding water and sewage, along with an addition to $380,000 for signage and other fees for the I-285 Pedestrian Bridge. As part of the settlement, the county will also pay the Braves $500,000 towards project management costs it says the Braves paid on its behalf during construction of the stadium. However, that amount is reduced to $120,000 after both sides agreed to credit the county $380,000 -- the amount the Braves said they would pay for signage and other fees for the I-285 Pedestrian Bridge. During Tuesday’s vote, District 4 Commissioner Lisa Cupid and District 3 Commissioner JoAnn Birrell questioned whether the county even had proof that the Braves paid the project management cost on its behalf. Both commissioners requested documentation proving the Braves did cut a check. County attorneys could only provide a spreadsheet they said showed Braves made the payment. Cupid asked for the vote to be tabled until every document could be substantiated, but the motion was denied, leading to a vote approving the settlement agreement.